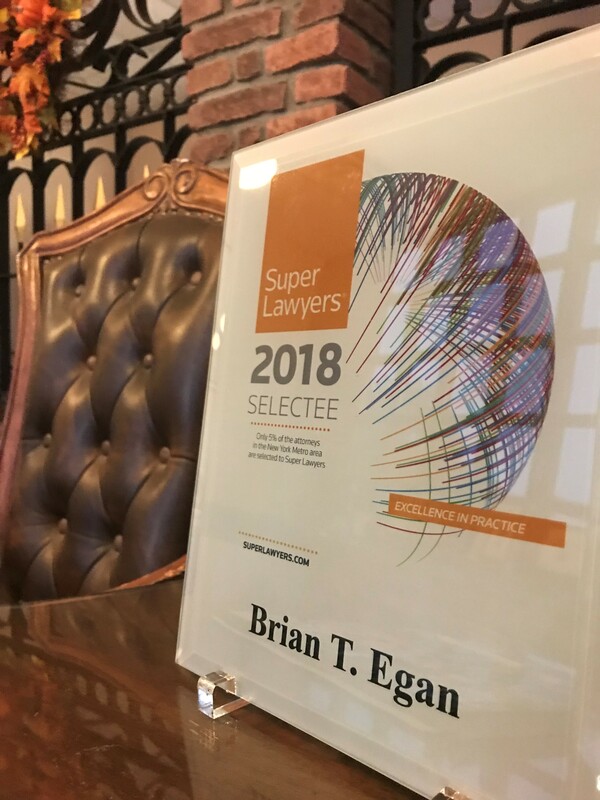 The 2018 edition of Thomson Reuter's "Super Lawyers" magazine has again recognized firm partner Brian T. Egan as among the best in his practice areas. Egan was nominated for Business Litigation and State, Local and Municipal Law. This is Egan's third annual nomination in a row. Super Lawyers is a research-driven, peer influenced rating service of outstanding lawyers who have attained a high degree of professional achievement and peer recognition. The patented selection process combines peer nominations, independent research evaluations and peer evaluations by practice area. Each year no more than 5 percent of the attorneys in New York state are selected for the Super Lawyers list. Egan is admitted to practice law in all courts of the State of New York, the United States District Courts for the Eastern and Southern Districts of New York, the United States Court of Appeals for the Second Circuit and the United States Supreme Court.